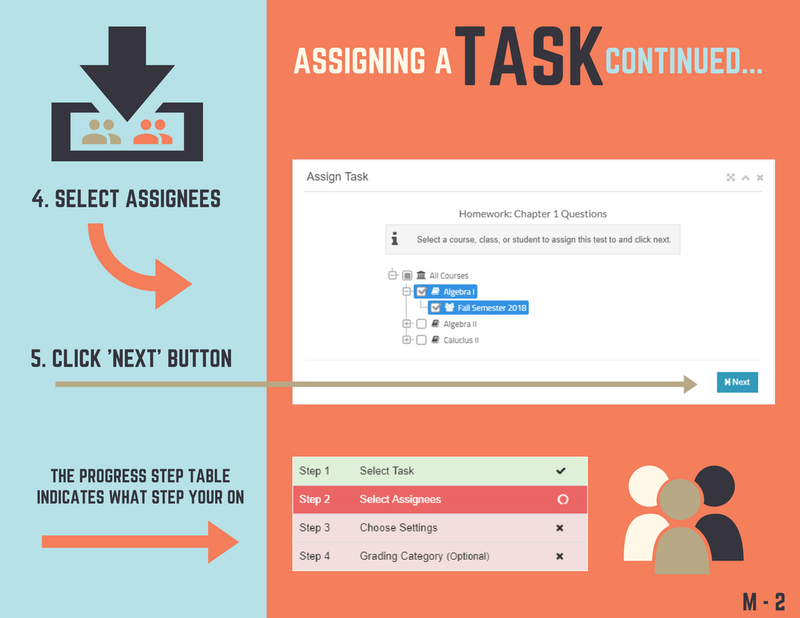 Before assignming a task, you must have created a task, a course, and a class. 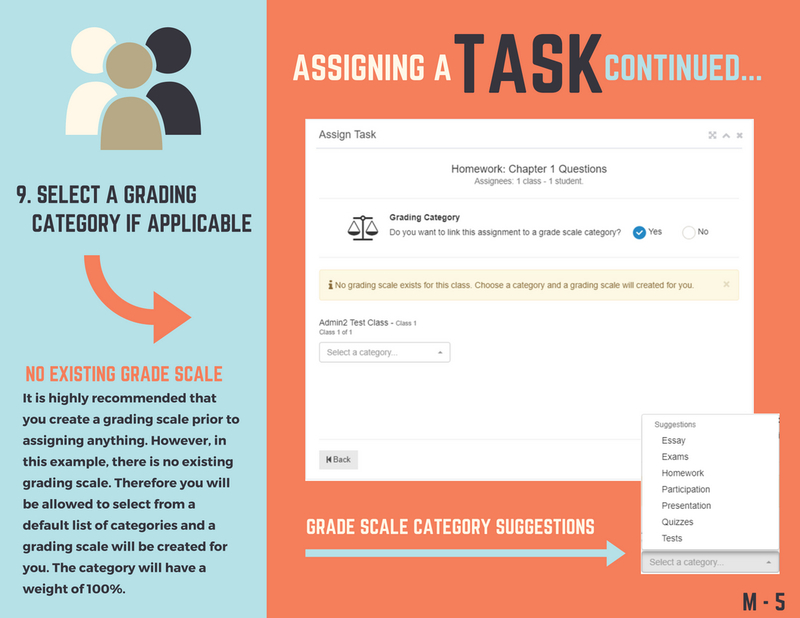 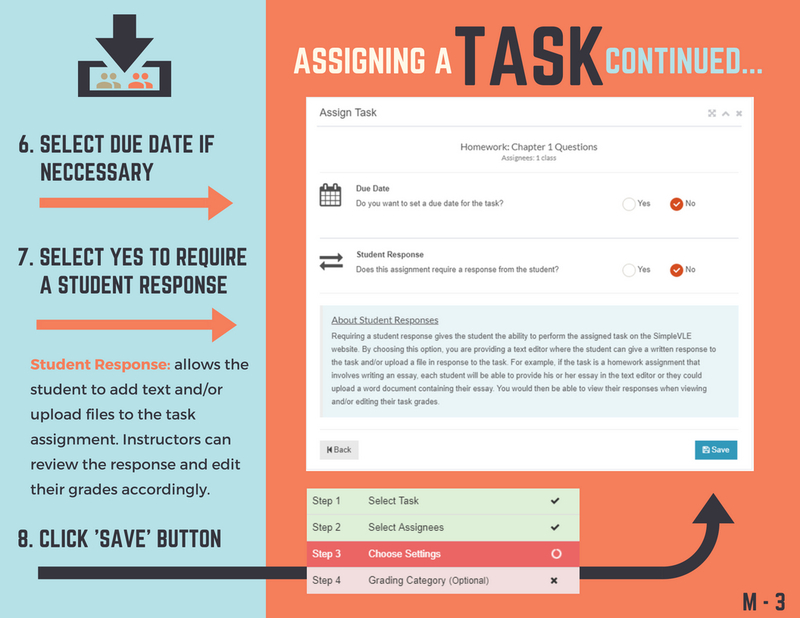 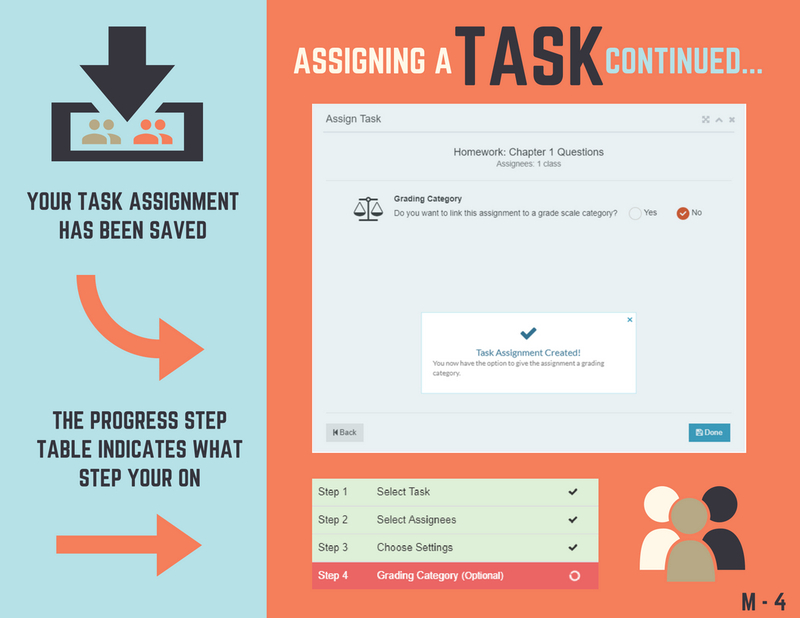 If a task is assigned to an entire class, any student that registers for that class will get the assignment even if the student registers after the assignment has been created. 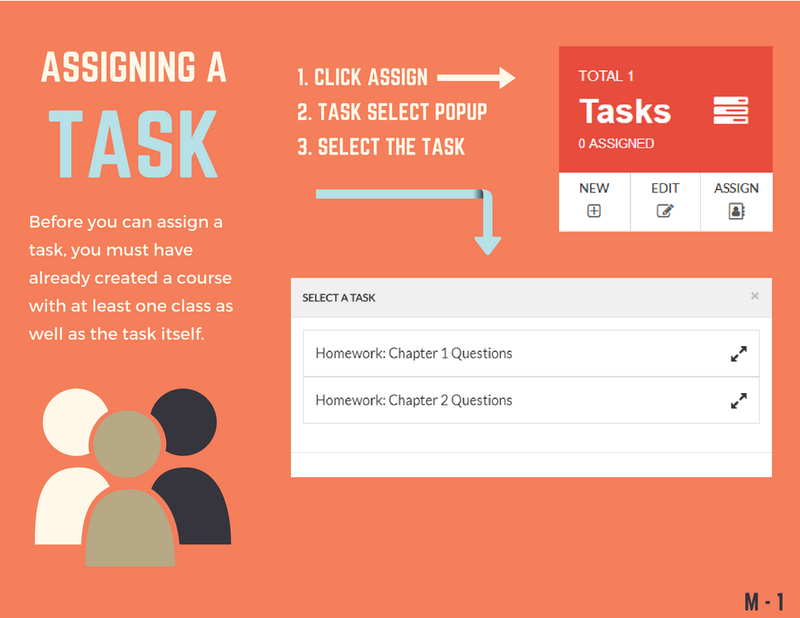 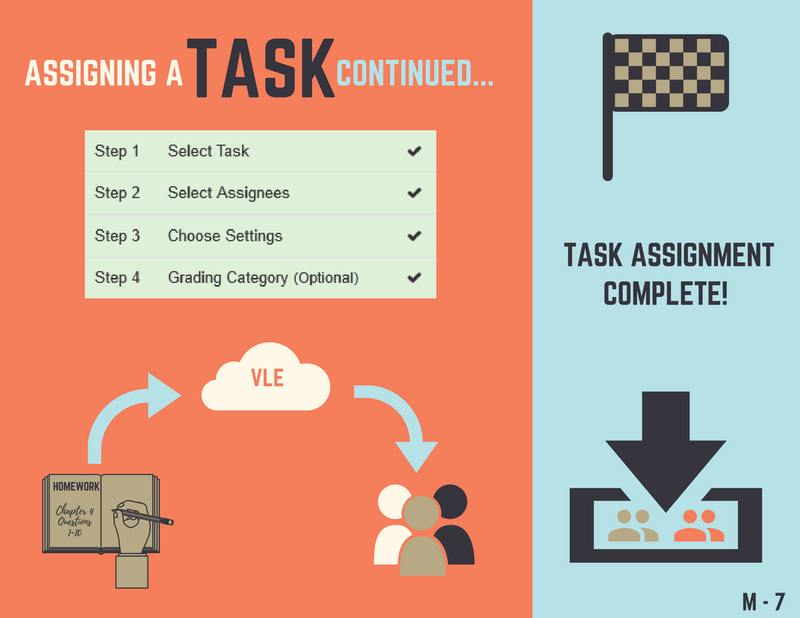 You can also assign a task to a specific student. 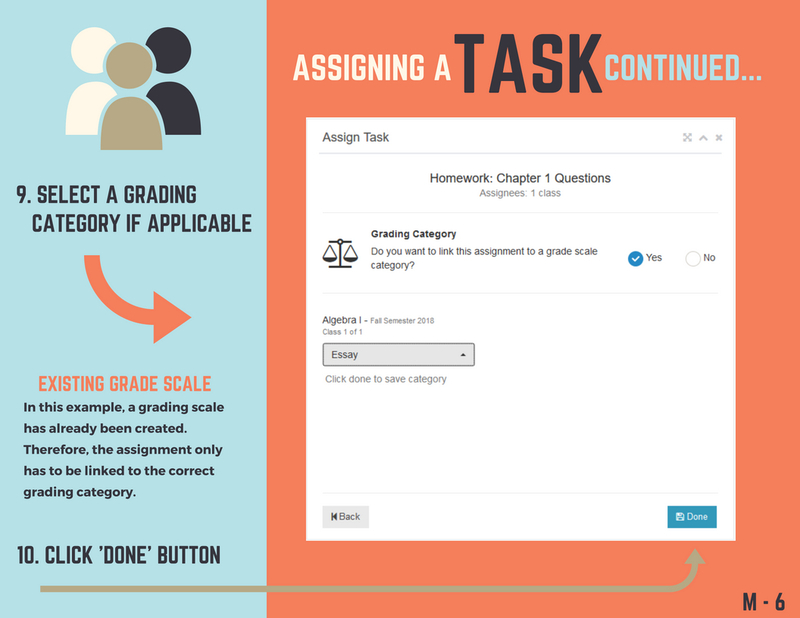 Finally, after a student finishes a task, you can give that student a grade for that task.